a. 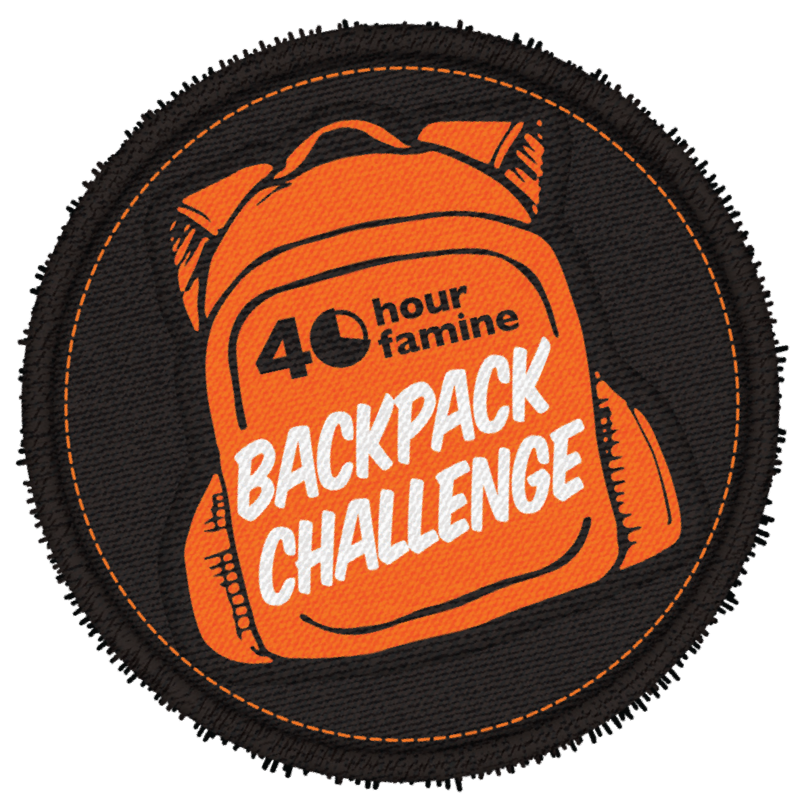 Your participation in the 40 Hour Famine Backpack Challenge (also known as the 40 Hour Famine) (“Event”) is governed by these Terms and Conditions (“Terms”). b. Your participation in the Event constitutes your agreement with, and acceptance of, these Terms and if you do not accept these Terms you may not participate in the Event. c. Any reference to "us", "we" or "World Vision Australia" means World Vision Australia - ACN 004 778 081.
d. We may change these Terms at any time without notice. You are responsible for keeping yourself up to date with any changes, which will be reflected on this page. a. You must live in Australia. b. You must register online to participate in the Event. c. If you are 15 or under, your registration and participation is subject to parental or guardian consent (see below). 2. Are you 15 or under? a. If you are 15 or under ("child" for the purpose of these Terms) please make sure that you check with your parents or a guardian before registering for the Event or creating an Event fundraising page. Ask them to read these Terms. b. If you are 15 or under, your parents or guardians must consent to you participating in the Event and accept these Terms. c. Please do not sign up for the Event unless you have a responsible adult to help you collect and bank donations. d. Please be safe in how you ask people for money – don't go door knocking or collecting donations in public without a responsible adult with you. a. Please carefully read these Terms. By you, or a child you are responsible for, registering for the Event, you agree to be bound by these Terms. b. Parents or guardians will be solely responsible for their child's participation in the Event (refer in particular to the Participation in the Event section below). c. We strongly encourage parents and guardians to continue the conversation with their child(ren) about safe internet use practices, including safe use of their photos and other personal information to be uploaded to the Event online fundraising pages. We recommend parents, guardians and team leaders visit the Office of the Children's eSafety Commissioner website for information and tips for young children, teens and parents to be online safely. 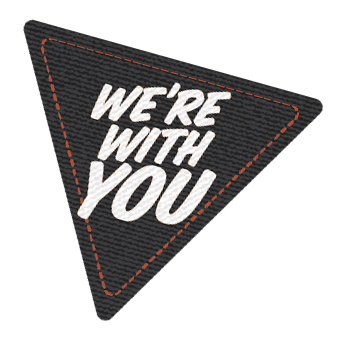 d. We ask parents and guardians to closely supervise how their child(ren) are collecting and handling donations, both to keep them safe and to make sure that the money makes it to World Vision Australia as quickly as possible. a. Participants who have registered for the Event may establish a fundraising page to fundraise for World Vision Australia. Take care when promoting your fundraising page on Facebook, Twitter, Instagram, YouTube and any other social media platform you may be using. b. Keep your user name and password in a safe place. c. You promise that all information you give to us will be true and that you will keep your details up to date. d. You promise that you own or have permission to use any content that you post on your page. e. While we will be monitoring and moderating content (comments, photos and text) on the "40 Hour Famine" website, fundraisers must monitor their pages for inappropriate content, as we cannot guarantee that content will always be appropriate. f. We can remove any content you post for any reason at any time without notice. h. You grant us a perpetual royalty free world-wide non-exclusive licence to use, reproduce, adapt, modify and communicate the intellectual property rights in the content owned by you and posted on your page as part of a 40 Hour Famine event and for related marketing purposes. a. Keep your user name and password in a safe place. b. Take care when promoting your fundraising page on Facebook, Twitter, Instagram, YouTube and any other social media platform you may be using. c. While we will be monitoring and moderating content (comments, photos and text) on the “40 Hour Famine” website, fundraisers must monitor their pages for inappropriate content, as we cannot guarantee that content will always be appropriate. a. Participants are encouraged to fundraise online only. Participants intending on collecting cash donations will need to contact us at service@worldvision.com.au to request a digital receipt book. Participants are responsible for collecting and banking cash donations following the details specified in the digital receipt book. b. All cash donations must be banked no later than Monday 23 September 2019 unless the law requires the donation to be banked earlier (if the donation is collected in Western Australia, it must be banked within 14 days of receipt). c. Cash donations will not be reflected on your fundraising page. Cash donations will not be taken into account in determining eligibility for fundraising incentives (below). a. We may, in our sole discretion, offer registered participants in the Event incentives to fundraise online for World Vision Australia. For example, if you raise $100, we will provide you with a backpack (please note this is an example only). b. Eligibility for incentives will be assessed based on funds raised on your online fundraising page only and will be assessed at midday AEST on 24 September 2019. Funds raised by other means or after this time will not count towards your eligibility for an incentive. c. Only participants within Australia (with an Australian shipping address) are eligible for fundraising incentives. d. The incentives are not transferable, exchangeable or redeemable for cash. To the extent permitted by law, World Vision Australia makes no representations or warranties as to the quality, suitability or merchantability of the incentives. e. World Vision Australia and its associated organisations will take no responsibility for any incentive(s) damaged or lost in transit. Once the incentive(s) have left the premises of World Vision Australia, we will not be responsible for any delay, failure to deliver or damage caused to any incentive(s) during transit. a. You understand that participation in the Event has inherent risks, including risks to your personal health arising from the nature of the Event. You agree that you participate in the Event voluntarily of your own free will and at your own risk. b. You acknowledge that we will provide you with “Challenges” which form part of the Event. You are in no way obliged to undertake the Challenges and you participate in them voluntarily, of your own free will and at your own risk. c. You warrant that you are in a good state of health to participate in the Event and have not been advised otherwise by a medical practitioner, and that you are not on any medications or drugs which may affect or interfere with your ability to engage in the Event. d. You warrant you are free from any injury, medical condition, disability, disease or illness which may be aggravated by participation in the Event, or which may affect or interfere with your ability to engage in the Event. e. You understand that it is your responsibility to continuously monitor your own physical and mental condition during the Event (including in undertaking any Challenges) and agree to withdraw immediately if at any point your continued participation could create a risk of danger to yourself or to others. a. Except to the extent limited by law, you release and waive any claim you may have against World Vision Australia in respect of any injury, death, loss or damage (including without limitation any aggravation or acceleration of an existing medical condition) you suffer as a result of your participation in the Event. a. World Vision Australia Public Liability Insurance does not extend to your participation in the Event, and therefore you are responsible for organising your own insurance.